James "Jim" Lee Camden, age 58, of Linton, passed away at his residence. He was born in Linton, IN on May 13, 1960, the son of the late Lex Camden & Barbara Ann (Reintjes) Camden. He was a 1978 graduate of Linton-Stockton High School. 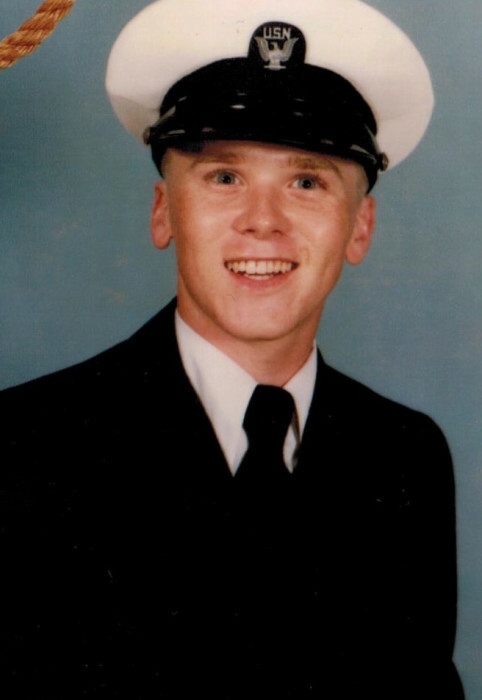 He was a veteran of the United States Navy where he was an aircraft system organizational maintenance technician and was named the Sailor of the month for November 1981. He was a recruiter for the Navy before being discharged. He owned two restaurants in Bloomfield over the years and they were called City Café and Camden Cafe. He was also a salesman for Amway. Jim is survived by his daughter, Sarah Camden of Worthington; granddaughters, Mallorie Bolin and Madison Parola, both of Worthington; ex-wife, Kathy (Bill) Bowersock of Jasonville; sister, Junetta (Don) Hughes of Bloomfield; nieces, Amy (Kenny) Fulford of Linton, Andrea (Megan) Halstead of Linton, Rachel Lewis of Bloomington and Lauryn Miller of Bloomfield; step-children, Tobey Fults of Largo, FL, Jarom Fults of Farmersburg and Aaron Fults of Rossville, IL; special friends, Carol Jackson, Sarah Humble and her son Charles Humble and several great nieces, great nephews, aunts, uncles and cousins. Funeral service will be held at 11:00 am at Welch & Cornett Funeral Home in Linton on Saturday, February 2, 2019, with cousin, Monty Goodman and family friend, Joe Wilson officiating. Burial will follow at Fairview Cemetery in Linton. Visitation will be held at the funeral home on Friday, February 1, 2019 from 4:00-7:00 pm and on Saturday from 10:00am until the time of service. In lieu of flowers, memorial contributions may be made to the family through the funeral home.